Representative Honours: Ireland: 1 Amateur Cap (1947); Irish League. Club Honours: (with Distillery) Co. Antrim Shield Winner 1945/46; Belfast/Dublin Inter-Cities Cup Runner-Up 1947/48; (with Glentoran) Irish League Champion 1950/51, 1952/53; Irish Cup Winner 1950/51, Runner-Up 1951/52; Gold Cup Winner 1951/52, Runner-Up 1950/51; City Cup Winner 1950/51, 1952/53; Ulster Cup Winner 1950/51, 1952/53; Co. Antrim Shield Winner 1949/50, 1951/52. A goalscoring inside-forward, Sammy Ewing represented Ireland at Amateur international level and the Irish League. A product of East Belfast junior football, he made his senior debut for Distillery on Christmas Day 1945 and finished that season with a Co. Antrim Shield winner's medal. 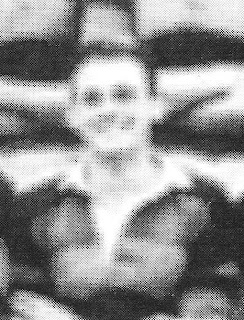 Ewing joined Glentoran in September 1949 and his regular goals fired them to two League titles, including the "Double" in 1951.